KowaBunga! just set up a new promotional sponsorship for their golf outing at the day before Affiliate Summit. Affiliate Summit has launched the Affiliate Buyer’s Guide, a directory of products and services for affiliate marketers. The Disney World Resort Hilton is all sold out for the Affiliate Summit conference, but you can still book at hotels in the same area. Introduction to Affiliate Marketing for Merchants, a panel session moderated by Forrest Schaaf at Affiliate Summit 2006 East, is now available as a transcript. Affiliate Summit is running an essay contest through June 19 where selected essay authors will receive a free full conference pass to Affiliate Summit. 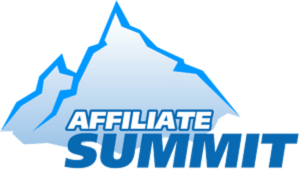 Calling all affiliates  if you want to go to Affiliate Summit for free, you’d better read on. The series of Affiliate Summit preview calls, conducted by Marty M. Fahncke, Founder of Conference Call University, has wrapped up. The Affiliate Summit group rate for Friday (January 19) and Saturday (January 20) is sold out. Loyalty Affiliates: Loyal Allies or Evildoers, a session presented by W. Kimathi Marangu at Affiliate Summit 2006 East, is now available to watch on video. Does anybody question the value of PPC affiliates? The speaker roster is all locked up for Affiliate Summit 2006 East, but there is one spot to be filled on a panel about pay per click affiliates. Here’s an opportunity for any and all registered attendees for Affiliate Summit 2006 East. If you’ve got some news to share about your company, we’ll distribute your press release for free via NewsReleaseWire.com. Hear what our guests had to say on this Affiliate Summit preview call. The Affiliate Summit preview conference call series will feature Wil Reynolds from SEER Interactive and Kellie Stevens from AffiliateFairPlay.com on Thursday, December 7th, 2006 at 3pm Eastern Time. Affiliate Summit 2006 East is taking place July 9-11, 2006 in Orlando, Florida. The Affiliate Summit conferences are presented by Shawn Collins and Missy Ward. Kevin McCormick, the creator of DressKevin.com and mydrobe.com, was featured on CBS/The Early Show on Tuesday, March 14. There are a handful of important deadlines coming soon for Affiliate Summit sponsorships and the Affiliate Buyer’s Guide. Here are the Top 10 reasons we think you should exhibit at Affiliate Summit 2006 East being held at the Hilton at Disney World in Orlando, July 9-11, 2006. The registrations are now open for Affiliate Summit 2006 East booths and sponsorships. We just uploaded new banners to promote the upcoming Affiliate Summit. The next Affiliate Summit show will be held July 9-11, 2006 in Orlando, FL, and speaker proposals are currently being accepted.